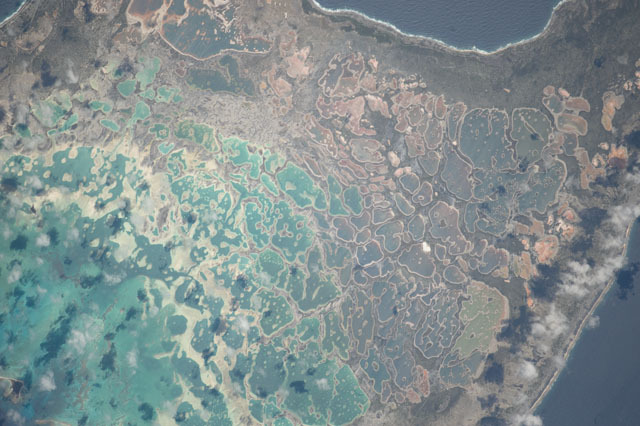 While searching for a Long Short that could help us visualize the Anthropocene for Mark Lynas’ SALT, we came upon an amazing resource: The Gateway to Astronaut Photography of Earth. Contained therein are well over a million images of our planet taken from space. One particularly exciting section within this massive collection is a series of photos taken by astronauts on the International Space Station using low-light cameras. Stitched together into videos, these images create amazing time-lapse depictions of the Earth and human civilization rotating and pulsing in a starry sky. Despite being over 200 miles below, humanity features significantly in the videos, weaving across the landscape, clustering around water sources and glowing through cloud cover. Long Now videographer Chris Baldwin created a compilation of some of those videos and set it to Brian Eno’s aptly titled ‘Late Anthropocene’ from Small Craft on a Milk Sea.